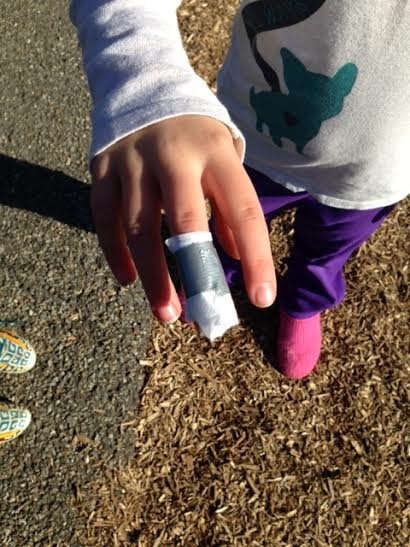 On Saturday at the park, my daughter cut her finger. Nothing that required stitches but enough that pressure alone wasn’t stopping the bleeding. I looked through the van for a band aid but came up empty. So I took a napkin and some duct tape to fix up the problem. “Dad, that’s not a band aid.” She was right. It wasn’t. That didn’t matter to me and once it worked it didn’t matter to her either. At a certain point, results are what we’re really after. When you don’t have what you need, use what you have. For as long as I can remember, I’ve been doing things like that. Finding a solution for a problem with limited or unorthodox resources. Perhaps I watched too many episodes of McGyver when I was a kid. Or perhaps I care too little about form and put an overemphasis on function. Regardless of the why, I have an affinity toward multidimensional thinking and it scares me. I’m not scared because I do it but rather because so many young people that I know do not. It is not particularly their fault. Our society has curved off so many of the jagged edges that it is almost impossible to develop resourcefulness organically. We can blame it on the internet, the government or any other scapegoat that is popular today but that’s the heart of the same one dimensional thinking that is the root of this problem. Blaming a lack of resources or poor circumstances for our failure won’t get us anywhere but stuck. People are far too quick to figure out who to hold accountable and very few people are stepping up asking to be responsible. In essence that is where this blog started, the ability to respond to a problem with a solution that was irregular. A napkin is a napkin, until it’s a band aid. A problem is a problem until it is an opportunity. Each of us has the opportunity to look at our own lives and see where we can push the limits of what is expected. You have unique resources available to you. How can you use them to make the world of those around you a little better? What problem is out there for you to create a unique solution for? You are who you’ve always been until you’re not. Go out and do something great today! Every year I hike part of the Appalachian Trail with my brother. It is one of my favorite events of the year. First, it is time spent with one of my best friends. Second, it is enjoyable to forget about comfort for two days and walk into the woods with only the supplies we can carry. It’s not army survival training by any stretch but it’s not a picnic either. We never bring a picnic basket but we always bring a Swiss Army Knife. The tools that you pack on any adventure say a lot about what you are expecting, what you can handle and whether or not you’ll survive. One of my greatest concerns is the youth of today are under-prepared to deal with the challenges they will face. I fear that in many respects kids today are walking into the woods with picnic baskets. They are anticipating that everything will continue to be easy. The tests of life will be multiple choice. If they need it, they’ll get extra time to complete their work. Mommy or daddy will always be available to fix their problems. Unfortunately this picnic basket life that they are anticipating doesn’t exist. What happens when they find out that life is not always a picnic? My hope is that we never get to that point. I want the young people that I have contact with to leave the basket at home and take the Swiss Army Knife. Start equipping themselves with any and every tool that they can to survive effectively in the woods of life. The reason that I use the Swiss Army Knife in this metaphor is its adaptability to many situations. The world is changing at an increasingly rapid pace. Yet many young people seem to have trouble keeping up with the status quo. The expectation that tomorrow will be like yesterday is foolish. It will leave us at least two steps behind where we need to be. Whether you realize it or not, you’re in the woods. Did you pack well? If not, maybe now you should look around for supplies.